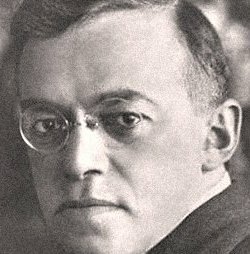 Vladimir Jabotinsky was one of the greatest Jewish statesmen of the twentieth century. His life is the portrait of an extraordinary if not miraculous personality, a man of impeccable character: truthful and wise, modest and magnanimous, fearless and compassionate, and wholly dedicated to the welfare of the Jewish people. Jabotinsky, who died in 1940, was a philosophic-statesman. His words remind us of the wisdom and humor of Abraham Lincoln. To read this unsurpassed orator — who could address and inspire audiences in seven different languages — is an experience that cannot but encourage any sensitive soul, Jewish or non-Jewish. That such a man lived in this era of mediocrity suggests that greatness is still possible. Jabotinsky nobly and tirelessly sought to overcome the “Jewish” obstacles to a Jewish renaissance, the foundation of which, he saw, has to be the Torah. For years he tried to reform the Jewish Establishment from within. He was opposed by Chaim Weizmann, President of the Zionist Organization, who genuflected to Great Britain. He had to contend (and was vilified) by the Jewish Agency, whose chairman David Ben-Gurion, was a self-professed Bolshevik. Both Weizmann and Ben-Gurion passively accepted England’s renunciation of the Balfour Declaration and went so far as to say that a Jewish State is “undesirable”! And so Jabotinsky formed the New Zionist Organization. He also founded the Irgun, which saved the lives of thousands of “illegal” immigrants to Israel. Indeed, according to Winston Churchill, it was the Irgun that drove the British out of Palestine. Hence one may reasonably conclude that Jabotinsky deserves no less credit than Ben-Gurion for Israel’s rebirth. To appreciate Jabotinsky’s penetrating mind, let me quote and paraphrase as well as update some of his remarks, interspersed by those of his gentile admirer, British MP Josiah Wedgwood. Jabotinsky: “It has been said that the Jew learns not by way of reason but from catastrophe. He won’t buy an umbrella merely because he sees clouds in the sky. He waits until he is drenched and catches pneumonia.” The present writer would add: Today, countless Jews in Israel are unknowingly afflicted by walking pneumonia, as well as by politicians without chests! Returning to Jabotinsky: “[The Jew in Israel] has the appearance of the character in Andreyev’s play: “The man who was always being slapped.” To this one might add: Israel is the only truly Christian nation on earth: It is constantly turning the other cheek. Finally, this teaching of Jabotinsky: “What is important is what you are demanding; what is important is in whose name it is being demanded. If the demand is presented in the name of a great mass of people, it is important that that mass itself make it clear from time to time that it is seriously interested in the subject. What is important is patience and stamina; and one of the most important factors is that the spokesman stating the case should be capable of stating it clearly as well as politely.” Yes, and fearlessly abiding by his word! Israel desperately needs a Jabotinsky-like alternative to its present leaders. Paul Eidelberg has inauguated The Foundation for Constitutional Democracy, a program to educate future Jewish statesmen.